Here are the Big Brother Naija Season 3 Nomination Results For Week 8. 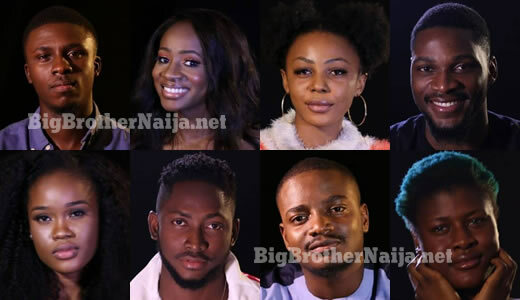 There are currently only nine housemates left in the Big Brother Naija house and this evening they’ve all taken part in the live nominations, therefore if you’ve missed watching the live nomination show don’t worry because we’ve got you covered. To begin with, Big Brother asked the Head of House Miracle to pick one Chance Card. Miracle went ahead and picked Chance Card 4 whose contents were “Full immunity from nominations and veto power to save a nominated housemate but no power to replace”. Then the nominations kicked off with Nina being the first housemate called into the diary room to make her nominations. Mean while Nina was not nominated at all by her fellow housemates probably because they all thought that she would obviously be saved by Head of House Miracle. Please Take Note: This week’s nominations are FAKE and no housemate will be Evicted from the House this week. 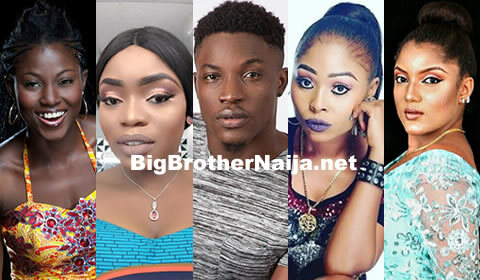 BBNaija 2017 Week 3 Nominations: 5 Housemates Up For Possible Eviction, Who Are You Saving?? Day 36: Four Housemates’ Pairs Up For Possible Eviction, Who Are You Saving?